Sylvia Plath is a bit of a feminist icon. In her book The Bell Jar, there are plenty of hints as to why that might be. Set in the 1950s, Esther Greenwood, the narrator, is an ambitious character, smart and well-educated. She professes to never wanting to marry because she didn’t much like the idea of being bossed around by a man. She is about to embark on her fourth year thesis on James Joyce with a scholarship and had received all As in College. She harbours a desire to be successful, perhaps by writing poetry, or through graduate study, or in the publishing industry, or in Europe somewhere. Sylvia Plath created a semi-autobiographical character who is clever and wants to go about life her own way. Yet, the other side of Esther is her mental illness. While spending time interning at a magazine in New York, she doesn’t feel excited. Rather than providing mental stimulation, the city heat oppresses Esther and she is left confused and sick, experiencing food poisoning at one of the intern functions. She’s overwhelmed by the thought that her days of petty college success are over, and that her previous success would make no difference once she gets to the real world. Plus, she doesn’t have any idea who she wants to be. Things get worse when she gets home to Boston after the internship. She finds that she has been rejected from a summer creative writing course. She thinks of dozens of alternative plans – do a language course instead, write a novel, move to Chicago, start her thesis, learn short-hand, etc. The plans fall through one way or another after she finds that she can no longer read, sleep, eat, or write properly. She wanders around the streets coming up with alternative plans to kill herself. When she does eventually attempt an overdose, she survives and winds up in a mental health facility (she does eventually get better, but if you read it as an autobiography of Plath, there’s not much to be optimistic about). Thing is, Sylvia Plath is a feminist heroine. The fact that references to her and to The Bell Jar in popular culture are basically short-hand for the concept of teenage female angst doesn’t make the story less feminist, it just points out the daunting reality of womanhood, particularly in the 1950s. In the 1979 film version of The Bell Jar (which I haven’t watched) the tagline is ‘Sometimes just being a woman is an act of courage’. While Esther’s neuroses are not strictly related to feminist theory, she captures the disjuncture between social pressures to be someone (marriageable, virginal, decisive on a certain career path, social), with what one actually wants to be. She should love the wining and dining of New York, but it depresses her. She should get married to her medical student boyfriend, but she doesn’t want to get married ever. 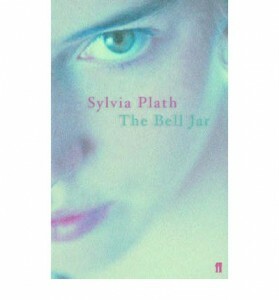 The image of the bell jar becomes a symbol of the alienation between oneself and the rest of the world. Moreover, she’s acutely aware of the hypocrisy involved in social pressures. For instance, it bothers her that her boyfriend slept several times with an older woman when he acted as though he were pure and naïve. Here, the book navigates problems that comprise the bread and butter of feminism – the way in which social pressures are hardly fodder for a happy and fulfilling life. The fact that the book does not resolve nicely and the fact that Esther still finds reasons to be cynical after her therapy (including electric shock treatments), is simply a sign of the subtle and entrenched difficulties that women in the same place as Esther suffered. There is no clear path forward (the second-wave feminist movement happened some years later), but the fact that Plath explores an emotional terrain of madness that would have been impossible for any writer less gifted to even begin to describe, makes the book revolutionary in itself. For that reason, coupled with the fact that Plath’s imagery is stunning, The Bell Jar is a book you should have read by now. This entry was posted in Arts, Books and tagged book review, books, books you should have read by now, classic, feminism, literature, Review, social norms, sylvia plath, The Bell Jar. Bookmark the permalink.